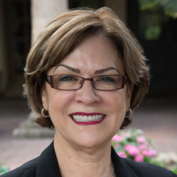 María “Cuca” Robledo Montecel is the president and CEO of the Intercultural Development Research Association, a San Antonio-based education research organization. She is a nationally recognized expert on dropout recovery and prevention. To solve Texas' dropout problem, we must ensure that we’re correctly counting how many high schoolers are graduating and how many are being left behind.